Gross mismanagement of the Ebola crisis by CDC and health officials around the country has left many Americans wondering what steps they need to take to prevent getting infected. Some of the key questions facing concerned citizens revolve around the concepts of self quarantine and social distancing. When do you make the call to bug in or bug out? When do you stop going to work out of concern of being exposed to a virulent disease? 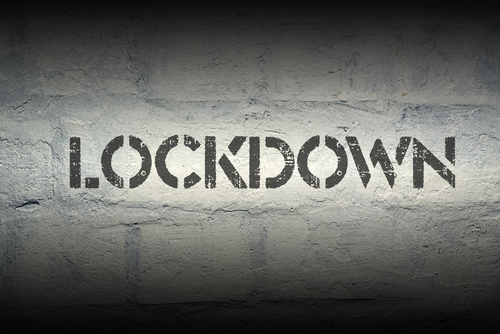 When should I put my self and family into full pandemic lockdown mode? Sanitation – In a pandemic, everyone will fear going to their jobs and all forms of normal life will be on hold. This includes your trash pick ups. Have a basic sanitation kit and prepare for the fact that toilets won’t flush, trash won’t be collected and you will be on your own. When sanitary conditions are not up to par, there is an increase of diseases such as cholera, typhoid and diphtheria. Typically, women and children are the most affected by poor sanitary conditions. Women’s personal hygiene is essential to her health and should be considered a priority in your sanitation preparedness measures. Taking proper precautions and stocking up on sanitary items will help eliminate most issues regarding poor sanitation. Check out the best book for medical advice’s in times of crises found here.